The border compromise includes $1.375 billion in funds to build 55 miles of new bollard fencing along the Rio Grande Valley of Texas. The compromise is a fraction of what the Trump administration originally demanded, earning criticism from GOP and immigration hardliners. However, the deal still allocates an unprecedented amount of funding for pedestrian fencing along the eastern portion of the U.S.-Mexico border. 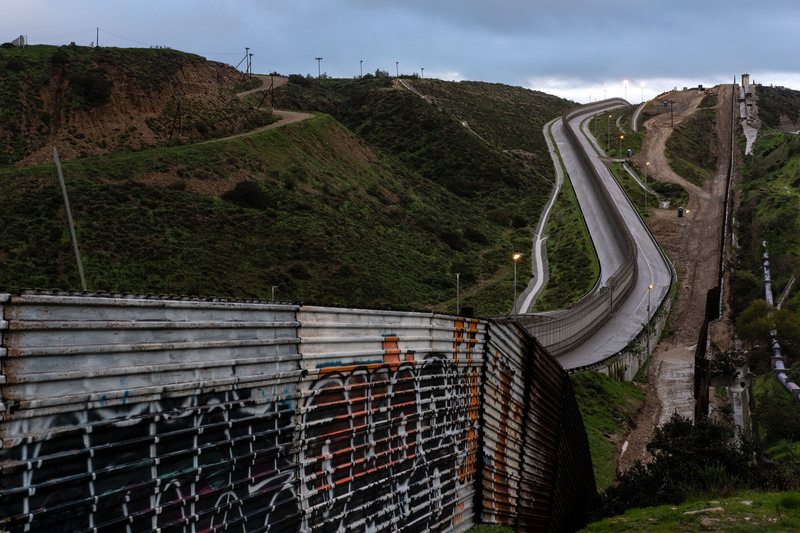 The border security compromise will not include as much money for wall construction as President Donald Trump had originally demanded, but the deal will score much more funding for wall expansion than previous years. A select bipartisan committee has reached a compromise on border security spending. Members of the special committee, which includes both U.S. representatives and senators, claimed they reached an “agreement in principle” on Monday and then completed the bill late Wednesday. House lawmakers are now expecting to take a vote on the deal as soon as Thursday evening. Included in the comprehensive spending package is $1.375 billion to build 55 miles of new bollard fencing along the U.S.-Mexico border. Considering Trump’s earlier demand for $5.7 billion to build 234 miles of steel or concrete walls, these numbers appear to be a setback for his immigration agenda. Numerous GOP lawmakers and immigration hardliners, in fact, have let their frustrations known since the deal reached its final stages. However, while the border security deal is less than a quarter of what the Trump administration requested, it will still dole out significantly more money for wall construction than previous spending packages. The U.S. Customs and Border Protection budget for fiscal year 2016, for example, provides a breakdown of what exactly was spent on border construction and maintenance. Slightly over $74 million was spent on border security, fencing, infrastructure and technology (BSFIT) during that fiscal year. However, these numbers may not even be totally reflective of actual spending. The Office of Inspector General’s review of the 2017 fiscal year budget noted a “drastic reduction in anticipated” spending for border security, fencing, infrastructure and technology. Because budgets are subject to supplement spending or other fluctuations, the most accurate analysis is done at least two years out from the spending year. The U.S. federal government has spent approximately $9.7 billion on physical barriers since 2007, according to a tabulation by Taxpayers for Common Sense. These barriers have almost entirely been placed on the country’s southwest border and encompass vehicle barriers that can be easily crossed by pedestrians. Not only does the current compromise provide over $1.3 billion to build new physical barriers that specifically inhibit pedestrian crossings, it also allocates another $1 billion for other border security programs. The bill calls for much of the wall construction to take place along the Rio Grande, bolstering the U.S.-Mexico border’s eastern half that lacks any barriers. Additionally, the president has indicated that he will find other sources of revenue to fund wall construction, claiming on Twitter that he would obtain nearly $23 billion in border security, regardless of what’s in the compromise budget.